THE ABUSIVE USE OF MENTAL HEALTH PROFESSIONALS IN CUSTODY SWITCHING SCHEMES, STVAN v. STVAN: PART VI! I don't think I can fully express the depth of the terror I felt when it dawned on me in my custody case that my ex husband and the GAL in my case could actually coach my 13 year old son to lie about me. I am still not quite sure what it is that he was told to say but it went something along the lines that every night I would leave him at home to put his younger sisters to bed while I went off to the Barnes and Noble bookstore to read. I guess the saving grace of that accusation is that my son didn't say that I went to a nightclub and danced the night away with various men. I almost lost custody because of that false accusation. Luckily, since my son was living with me, he didn't keep up that nonsense for very long. But what do you get when you take a child this age, cut her off from her primary caregiver, and brow beat her for week after week with suggestions that she's been abused. You've guessed it: the kinds of questionable allegations of abuse that Paige Stvan's daughter may have come up with and which became the basis for the custody switching scheme perpetrated in the case Stvan v. Stvan. I say "may have" because, as it stands now, even though I have read the documents in this case closely, I still do not know what these allegations were. Ordinarily, if the issue is raised, the Court would order a forensic custody evaluation in order to verify whether abuse occurred or not. In the Stvan case such an evaluation was never done, which leads me to believe the allegations were never very credible. Bottom line, Mr. Thomas Stvan only started claiming there was abuse once he realized that he couldn't seize custody with fabricated tales about Paige Stvan's mental health difficulties. In that approach, he was successful. Thus, in his January 8, 2016 memorandum, Judge Gerald Adelman stated the following, "The court finds that the best interests of the minor child require that she remain in the custody of the plaintiff and that the defendant's parental access to said child shall be restricted to therapeutic visits with the child's therapist, at the recommendation of said therapist, and hopefully a continuation of the brief meetings at the local mall." It is now November 2016, and no such meetings have ever taken place, and it looks like they never will. At the end of his memorandum, Judge Gerald Adelman acknowledges that he essentially has not obeyed the law and conducted the evidentiary hearing held 14 days after a temporary ex parte change of custody to determine whether that change should be made permanent stating, "That the temporary custodial orders shall remain in effect pending a full future hearing once the GAL, the AMC and the therapist are able to offer the court a more thorough presentation." The sub text of this order is that the Court has no expectation that any such hearing will take place, since it still has not taken place and there are no plans in sight to schedule it. Basically, I'm not sure how such a presentation could happen since now both sides have been ordered not to file any motions without permission from the court, and often no matter how worthy such a request, they are often denied. This is an unconscionable outcome for a case. What has happened is that a temporary order has become a de facto permanent order simply by virtue of the fact that Judge Gerald Adelman has disobeyed the law. In addition, with this memorandum of January 8, 2016, Judge Adelman has essentially put into place a structure that guarantees that Paige Stvan will never be able to see her daughter again. For instance, Judge Adelman conveniently fails to mention that earlier on December 1, 2016, he had issued an order that Ms. Paige Stvan was not allowed to speak to the therapist, Ms. Donna Fletcher, unless the therapist gave permission for her to do so. As Judge Adelman put it, the therapist has full authority to decide "who she sees, when and under what circumstances." It is my understanding that Mr. Thomas Stvan and the GAL Rosa Rebimbas immediately seized control of this therapist by telling her that the judge had established as a fact that abuse occurred even though that would be a lie. If the Court truly believed that there was possible abuse, the Court would have requested a follow up report from the therapist to verify any abuse, as well as an explanation regarding the extent of the damage that any parental abuse may have had. If these allegations were credible, Paige Stvan would have been held legally liable, but so would the father. 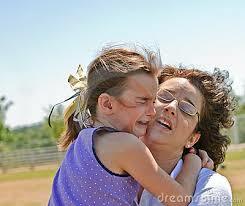 The bottom line is that the child was largely in the mother's sole care for twelve years. If there was any abuse that was going on, and the father allowed that abuse to occur unchecked, then the father would be legally liable as well. Not only would there be follow up to verify any abuse, if the Court took these allegations seriously, the standard procedure would have been followup hearings to put into place a program of rehabilitation for the parents, and, at the very least, there would have been an investigation by family relations. The question is, why wasn't this standard followed? 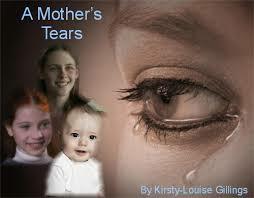 Even with situations of abuse, parents are still allowed to remain in the lives of their children. If they are willing, such parents are given the therapy they need to become better people and parents. I know of a recent case of domestic violence where the father slammed his infant's head against a car door and gave her a concussion. Still, he has been allowed unsupervised visits with that child after a period of rehabilitation. Since this is standard procedure for the family court system, why has it been uniquely disregarded in the case of Paige Stvan? Is it because this is simply a custody switching scheme? 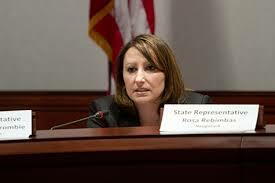 And why would a State Representative such as Rosa Rebimbas be involved in it? Finally, if the Court took these allegations of abuse seriously, it would have hired a qualified individual with an advanced degree in forensic psychiatry or psychology to do a proper investigation which would ordinarily include both parents, extended family, school personnel, therapists, and the child's pediatrician, just to start. Instead, the Court merely ordered that the parties hire a therapist for the child, a Ms. Donna Fletcher, who is a licensed practical counselor with a master's degree in psychology who graduated from Fairfield College. This is a person who spent 20 years in the computer industry and for whom this stint in counseling is a second career. She has a specialty in alcoholism and drug addiction, not divorce and custody. In the brief period Ms. Paige Stvan had a chance to speak to Ms. Donna Fletcher on the phone, Ms. Fletcher made it very clear she had no intention of doing any kind of investigation. Her intention was simply to provide counseling to the child for abuse. Of course, that would be ridiculous if the facts bear out that the child was not abused, and my guess is they would. 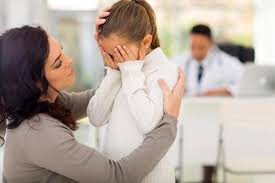 Still, the bottom line is that, if you are providing therapy for a child who has allegedly been abused, as a therapist, you would have to meet a few times with both parents in order to do a responsible job of finding out what has been going on. Instead, to my knowledge, Ms. Fletcher only spoke to Paige Stvan once over the phone. That is unacceptable. In addition, what is even worse is that the therapist, Ms. Fletcher, has apparently accepted a deeply flawed characterization of Ms. Paige Stvan as an abuser, even though two highly qualified professionals--Dr. Linda Ginsberg and Ashley Adamson--took considerable time and trouble to write and to call the therapist in order to put her on the right track. Unfortunately, Donna Fletcher has simply refused to have anything to do with them. It is really unethical to disregard medical information from another provider which could be relevant to your work in connection to an abuse case. You can't just dismiss testimony from other mental health professionals because it doesn't go along with your predisposed opinions. Ms. Donna Fletcher also ignored testimony from a friend of Ms. Stvan's, the child's Godmother, a child dependency attorney, who had witnessed some of the domestic violence and wrote a supportive letter about Paige to the therapist. All of this was ignored. Ultimately, it appears to me that this therapist, Ms. Donna Fletcher, was simply being used in order to justify the abduction of this little girl from her mother. This is an abuse of the mental health profession itself to use the profession as a means to unethically deny a mother her constitutional rights as a parent. Keep in mind that up to the present time there has been no report from this therapist, no confirmation of any abuse, and no attempt to integrate mother into a program to restore Ms. Paige Stvan's relationship with her child which is the proper thing to do. In the end, there are several things that have gone wrong in this situation, particularly in connection to the mental health component in this case. First, If there are allegations of abuse in a high conflict custody case, you would not appoint an LPC with a background in computers--you would find a psychiatrist or a psychologist with extensive training in forensic custody evaluations, who can investigate the allegations, particularly in a situation where there has been considerable domestic violence and legal abuse. Second, there needed to be a specific plan for reuniting this mother and child. If there were allegations, what were those allegations and what can be done about them? If there were allegations that were verified, then there ordinarily should have been some specific plan put into place where the mother could have worked through counseling, parenting classes, and supervised visitation to improve her parenting skills and earn her way back into having a relationship with her child. The fact that there was no such plan at any point, no followup hearings indicates that this was simply a custody snatching scheme. Third, this therapist has a responsibility to both parents when she is conducting counseling with a child. She was required to discuss the therapy with both parents and obtain informed consent from both parents for the therapy before proceeding with treatment. While she did not need to get a signature from Ms. Paige Stvan to proceed since she no longer had custody, it still remained her responsibility to sit down with the mother and explain what the treatment plan is. Finally, as a mental health counselor, it was Ms. Donna Fletcher's responsibility to take into account other perspectives on what kind of person Ms. Paige Stvan is, to review the mother's prior medical records to verify if information she'd received was accurate, and to include the mother in her daughter's treatment to the extent possible. If Donna Fletcher solely listened to the father, and the GAL Rosa Rebimbas whose bias is clear cut and excluded the mother's perspective from consideration, this would simply be unethical and an abuse of her professional role. From month to month then, this case is full of schemes to deceive the court, of malicious legal manipulations conducted to deny Ms. Paige Stvan her constitutional rights as a mother, and other unprofessional conduct across the board. Thus, it will not come as a surprise that is not the first time that a case with Judge Gerald Adelman has ended up with a troubled and possibly illegal outcome. 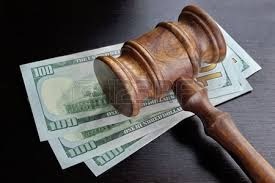 This is not the first time that a victim of domestic violence in a case before Judge Gerald Adelman ended up with the victim losing custody or being mistreated in some other manner. We have the Jennifer Jones case, Kathi Sorrentino, Susan Skipp, Paul Boyne, Sunny Liberti, Martha Dean, and many others. It appears that this is a Judge who sees victims of domestic violence and/or legal abuse and his sole thought is to abuse them further. I am not sure how the CT Judicial Branch can incubate these kinds of judges and continue to allow them to hurt litigant after litigant, but it does. Most troubling is that the harm and damage the Court has perpetrated on the child in this case, who has been suddenly deprived of her primary caregiver, is incalculable. In fact, you could make a case that this maternal deprivation, in and of itself, adds up to child abuse. If something is not done soon to correct this situation, the adverse consequences may end up lasting for a lifetime. Ultimately, there is absolutely no justification for denying Ms. Paige Stvan access to her child, and the only factor that stands between Ms. Stvan and justice is the foolishness, blindness, and vengefulness of our family court system here in CT, an abusive ex husband, and a crooked GAL.